These last 30 weeks have absolutely flown by! It's hard to believe that I could be meeting our baby in just 10 weeks time. It's such a surreal feeling! 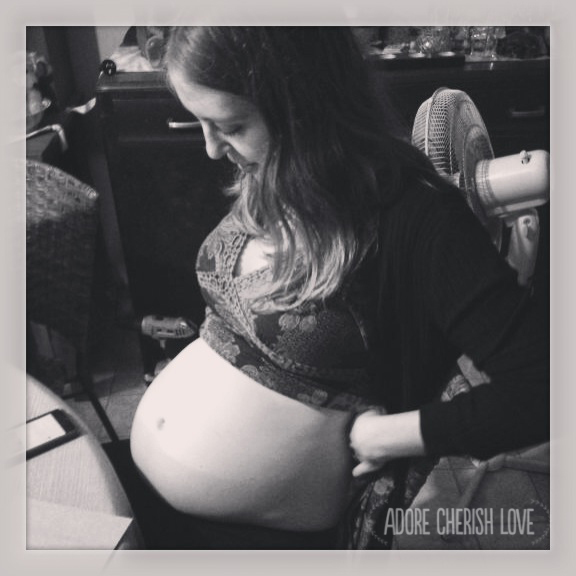 I have been so lucky and haven't really felt pregnant at all up until this week. I have been working full time and been quite sick with a chest and ear infection so it's really taken it out of me. 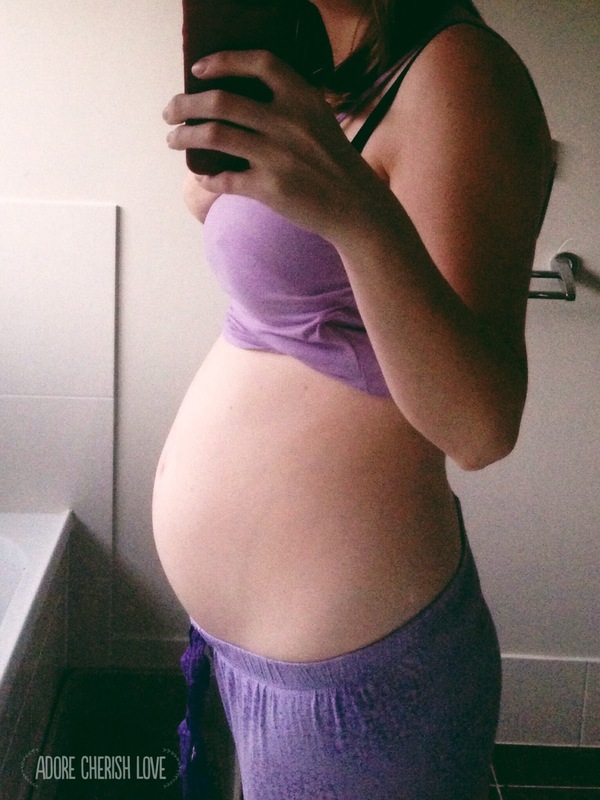 I've been enjoying my new baby bump very much - it's so cool having strangers ask how far along I am, even if they are shocked to find out I only have 10 weeks left! 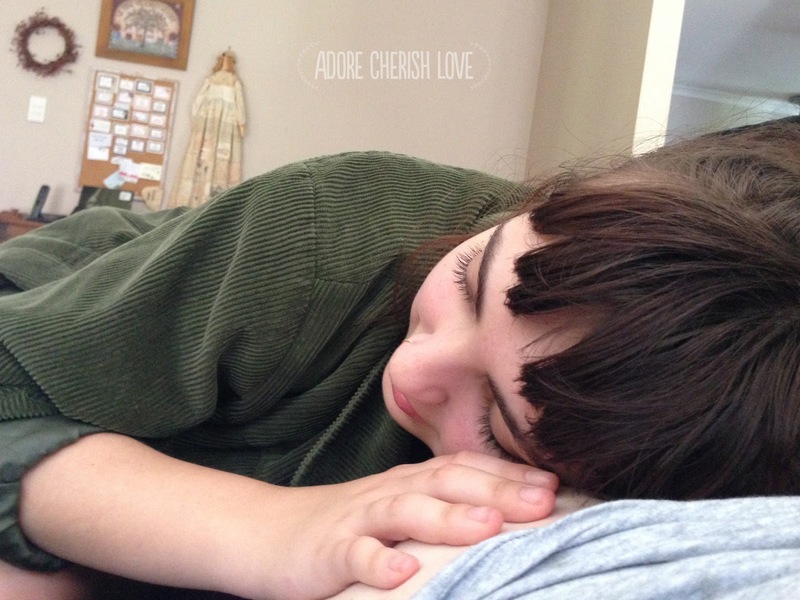 I've also been enjoying lots of weird tumbles and rolls - my sister loves to put her head on my belly and feel bub move underneath hehe. Hubby has been enjoying lots of play time too! 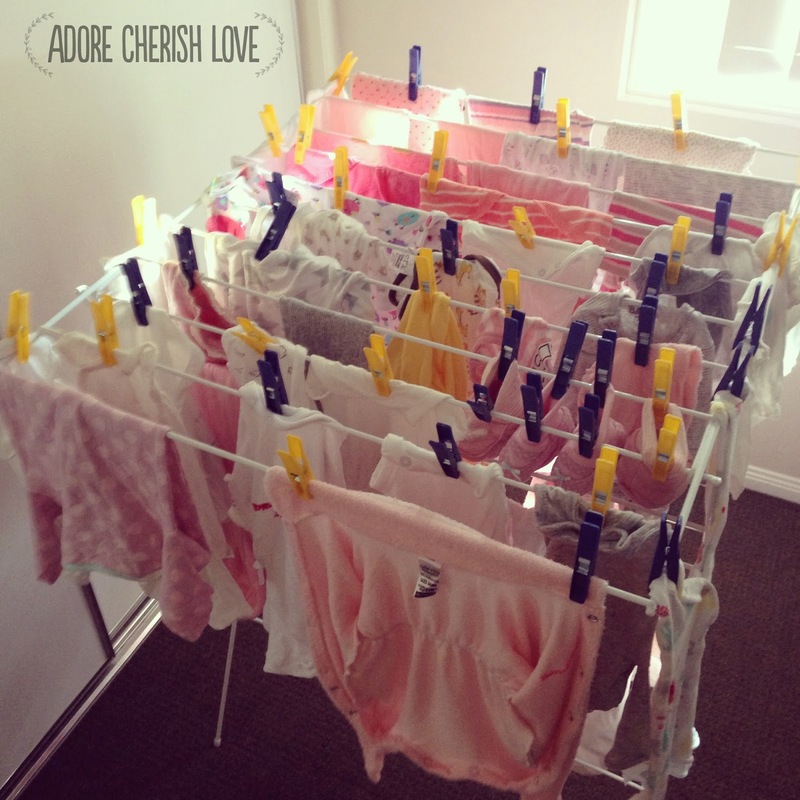 We also started to wash some of bubs things - it was so exciting hanging up all of her cute little clothes! !